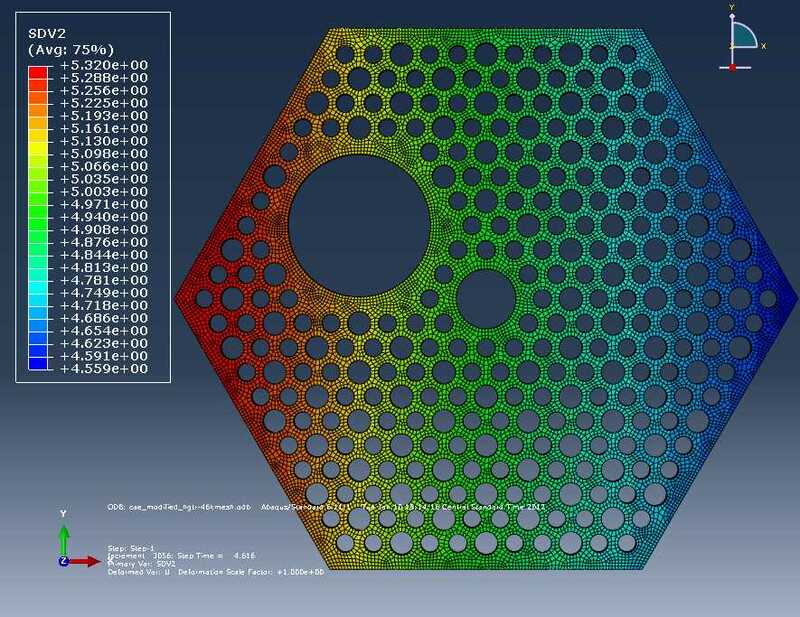 Assygen and CUBIT were used in generating the models for this structural analysis. 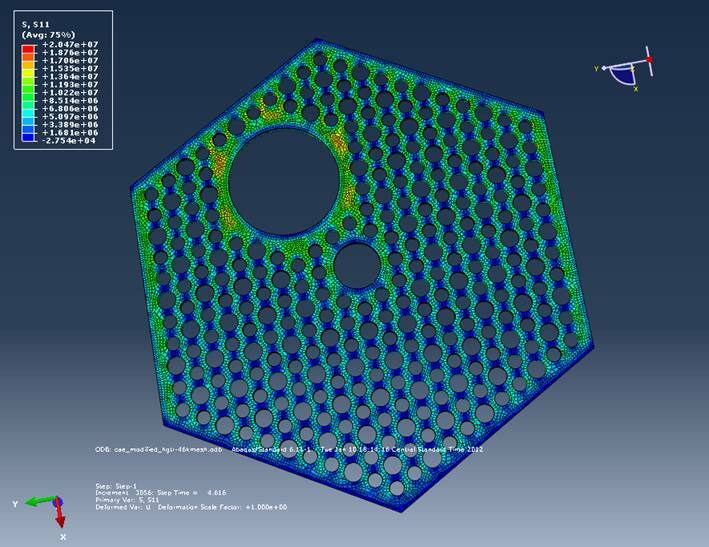 Axial and radial mesh size APREPRO variables in the template journal file created by Assygen were modified to create the desired mesh quality. The material considered is H-451 transversely isotropic graphite. At the end of 4.6 years radiation profile and inplane stress profile are shown. 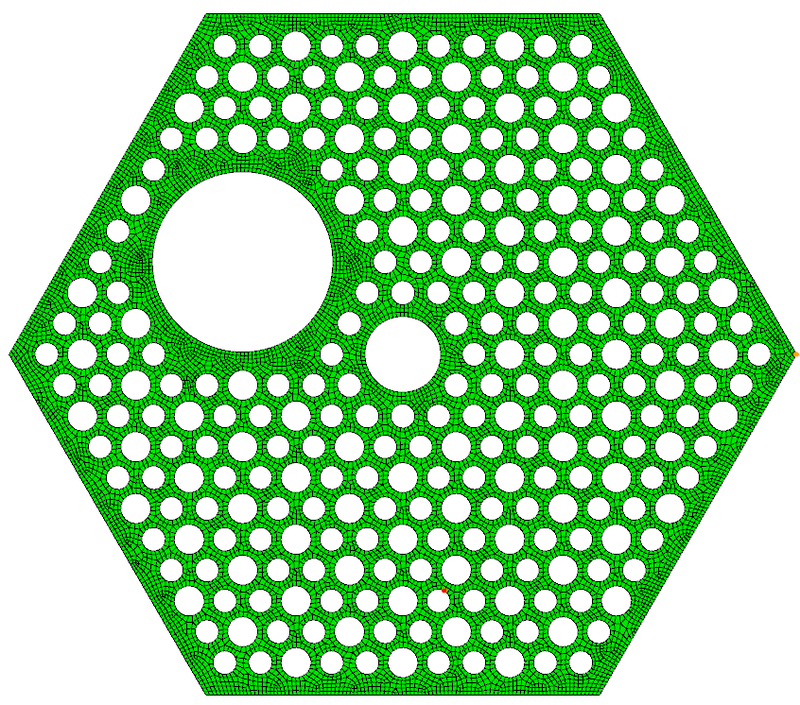 This assembly is located on the x-axis at a distance of 195.67cm from the center of core. S. Mohanty, R. Jain, S. Majumdar, T. J. Tautges, and M. Srinivasan, “Coupled Field-Structural Analysisof HTGR Fuel Brick Using Abaqus”, International Congress on the Advances in Nuclear Power Plants, June 2012. Preprint ANL/MCS-P2008-0112.